WeeGo is a classic baby bike. 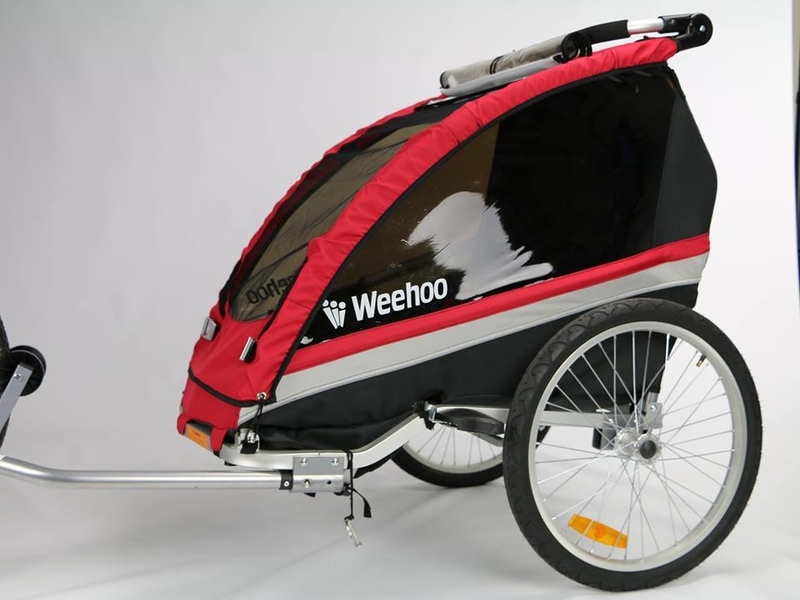 You can carry up to two children in the Weehoo WeeGo bicycle, which are secured by two three-point seat belts. 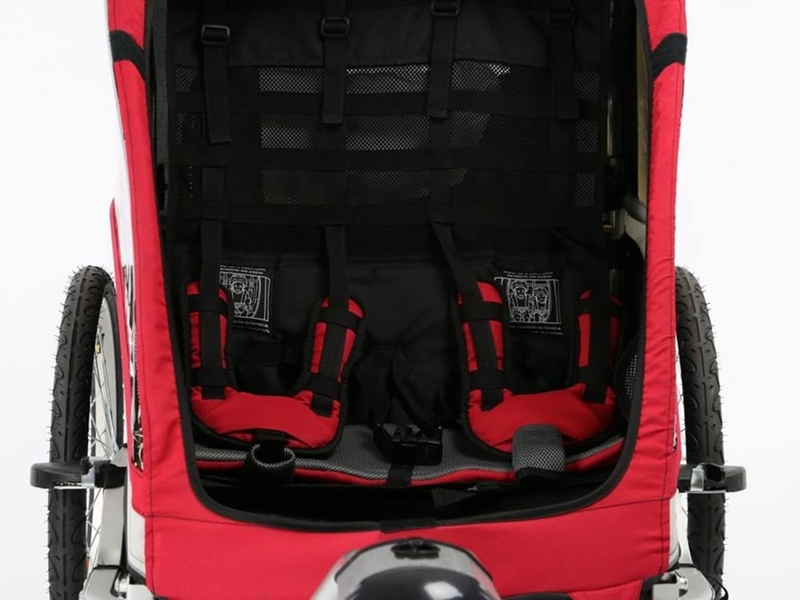 In the Weehoo WeeGo bicycle, kids sit on a comfortably cushioned seat for a large load space where you can transport everything you need on your trip. 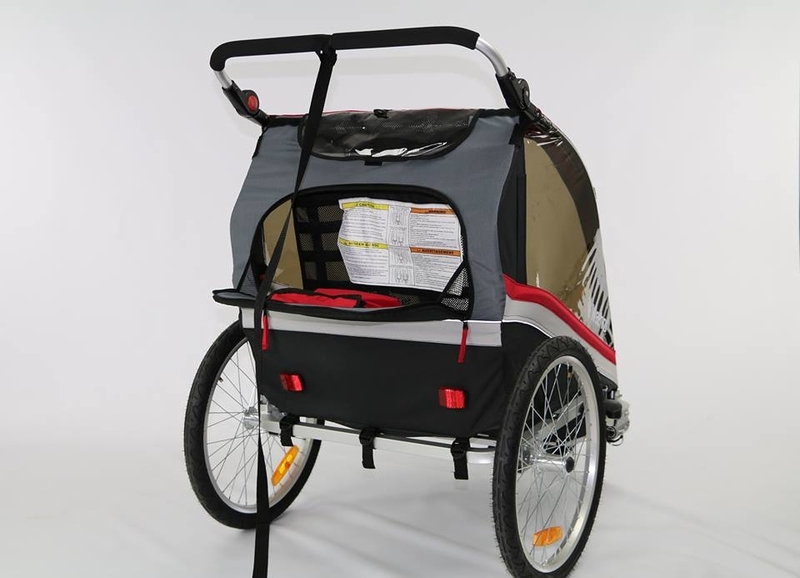 WeeGo is also a bicycle wheel that you can easily convert to a stroller with a 360 ° rotary wheel or a jogging carriage. The Weehoo WeeGo is also equipped with a brake, raincoat and mosquito net The Weehoo WeeGo bicycle pack includes a set to connect to the wheel and a 12 "front locking wheel to change a stroller, reflex reflectors and a safety flag. Folding frame made of aluminum alloy. 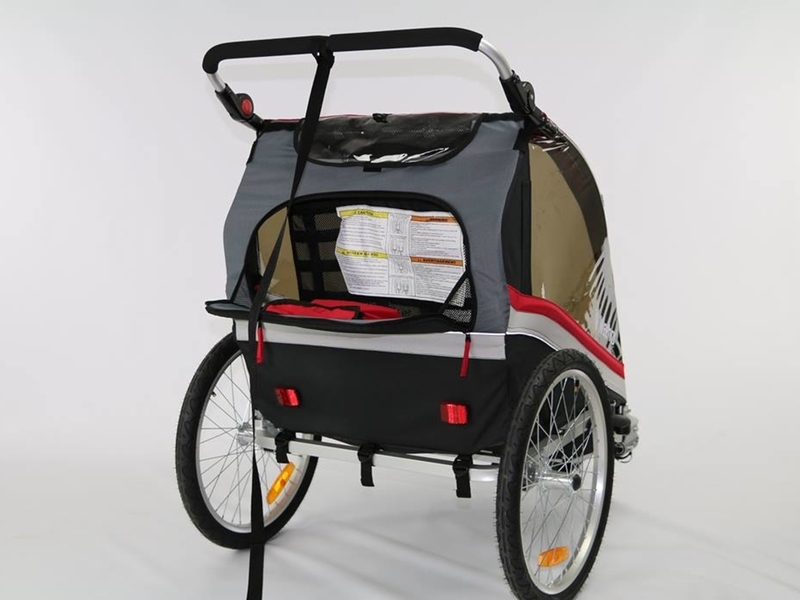 The size of the rear wheels is 20 "and the front 12" lock wheel. 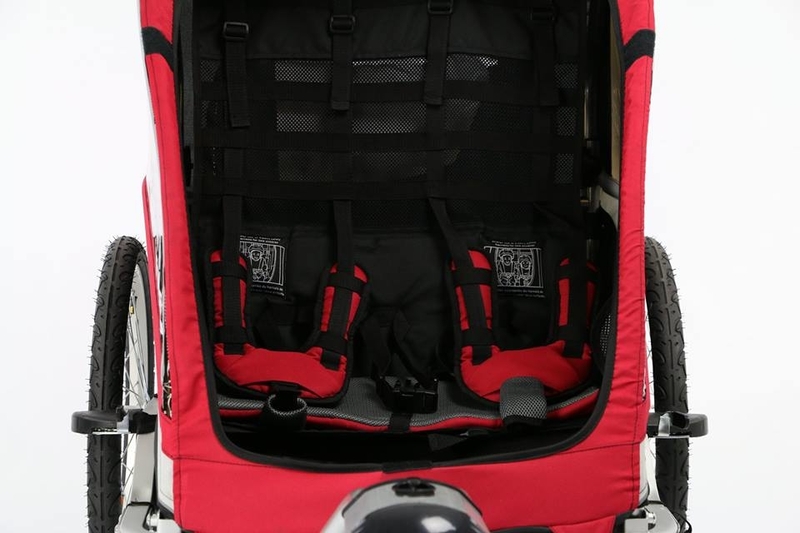 Large luggage compartment and adjustable handle in different angles. 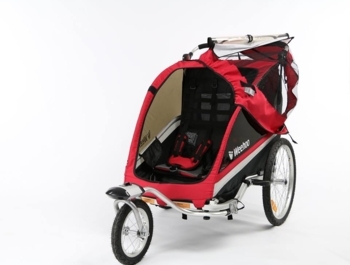 3v1: cycling, pram, jogging pram. 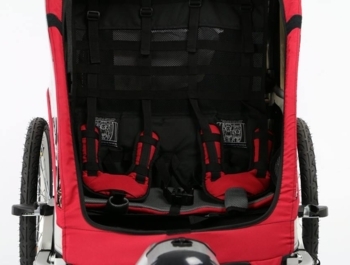 Internal dimensions: d. 71cm, height 60cm, width 56cm. Outer dimensions: d 110cm, v. 108cm, width 75cm.